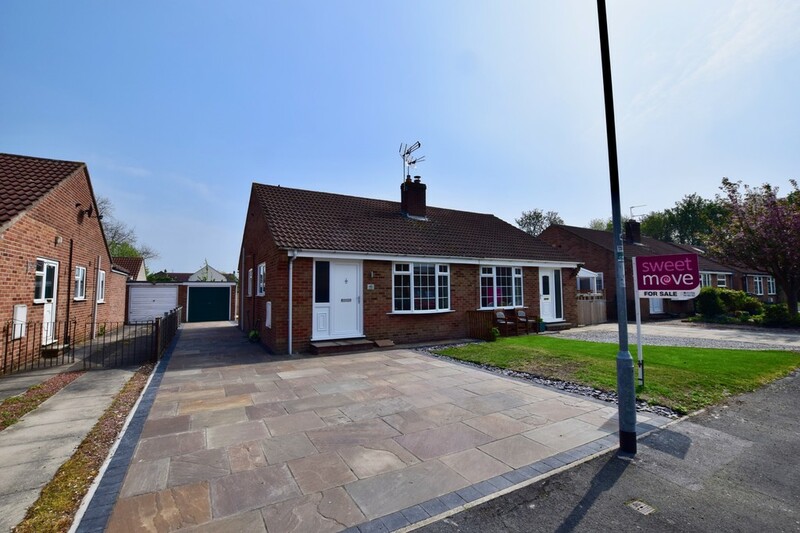 Having undergone a degree of renovation internally and externally this two bedroom semi-detached bungalow is certainly deserving of an internal inspection. 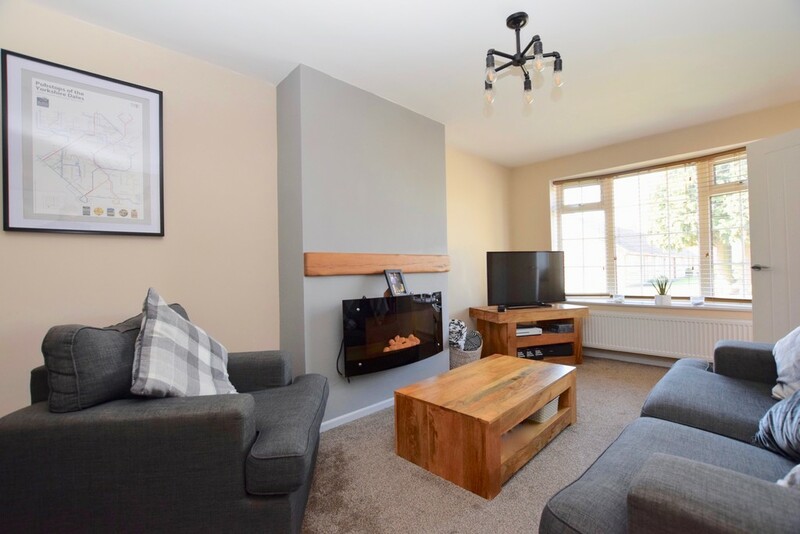 The property benefits from a new kitchen with integrated appliances, a three piece shower room, a full re-wire and a new gas combination boiler. Outside the rear garden has both a lawn and decked area and an Indian Stone driveway leads to a single detached garage and provides off street parking. 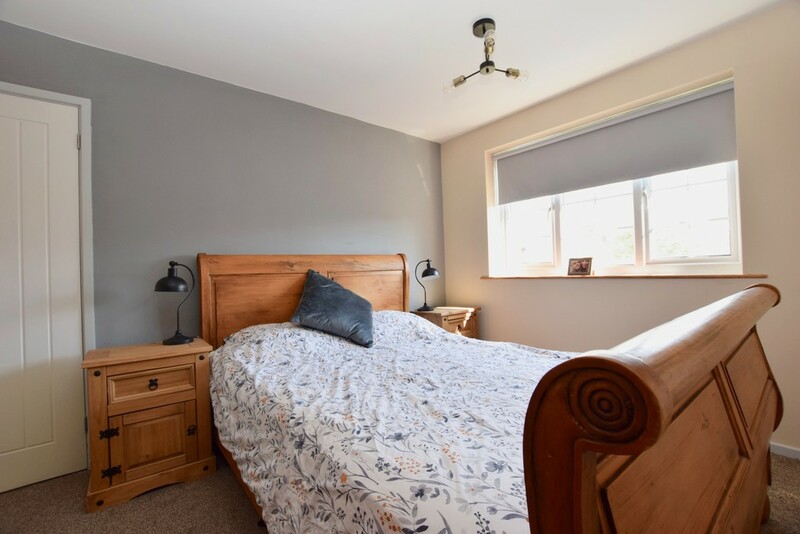 DESCRIPTION Having undergone a degree of renovation internally and externally this two bedroom semi-detached bungalow is certainly deserving of an internal inspection. 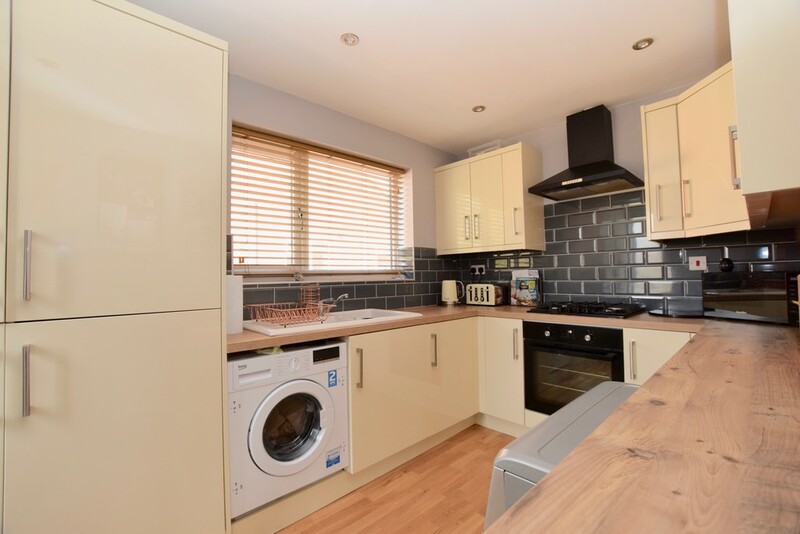 The property benefits from a new kitchen with integrated appliances, a three piece shower room, a full re-wire and a new gas combination boiler. 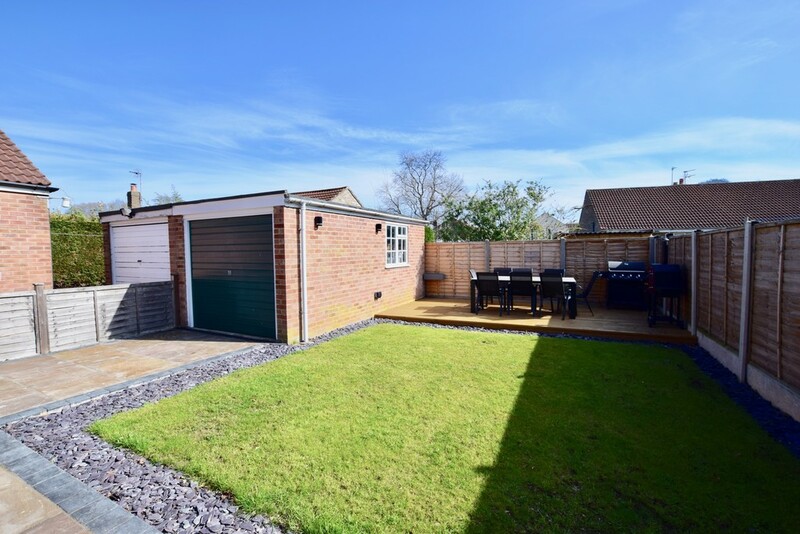 Outside the rear garden has both a lawn and decked area and an Indian Stone driveway leads to a single detached garage and provides off street parking. HALLWAY Storage cupboard. Access to loft which houses the gas combination boiler. 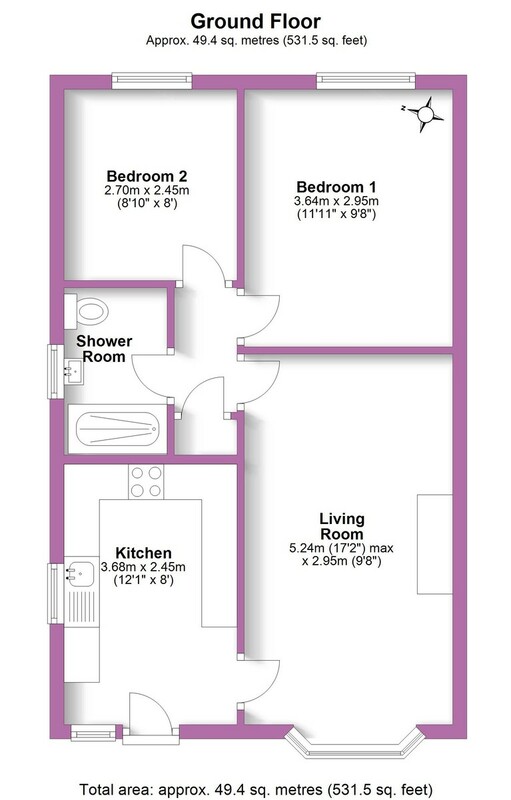 BEDROOM ONE 11' 11" x 9' 8" (3.63m x 2.95m) Window to rear aspect, wall mounted vertical radiator. BEDROOM TWO 8' 10" x 8' 0" (2.69m x 2.44m) Window to rear aspect, radiator. SHOWER ROOM Opaque window to the side aspect. 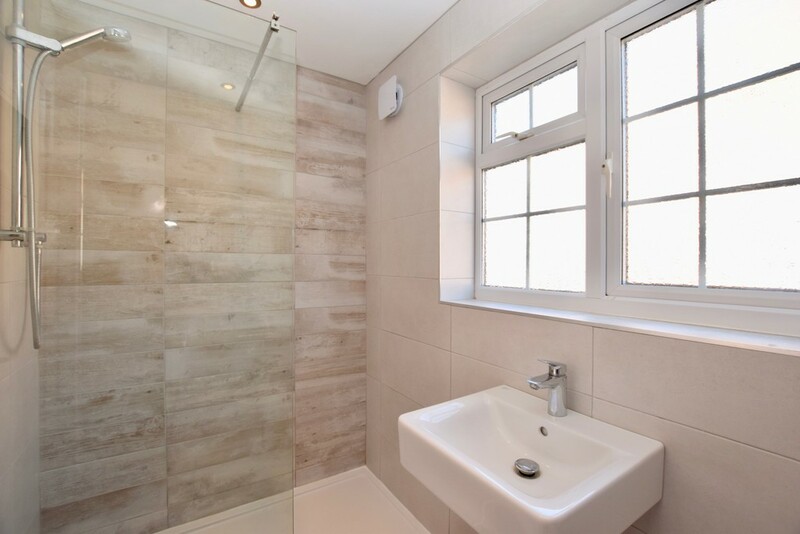 Fully tiled with walk in shower cubicle, wall mounted sink with mixer tap and push button WC. Ladder style chrome radiator. Ceiling spotlights and extractor fan. OUTSIDE To the front of the property there is a lawned area and an Indian Stone driveway which provides off street parking and leads down the side of the property. The rear garden is enclosed by fencing and has a lawn with slate shingle border and a decking area ideal for summer entertaining. 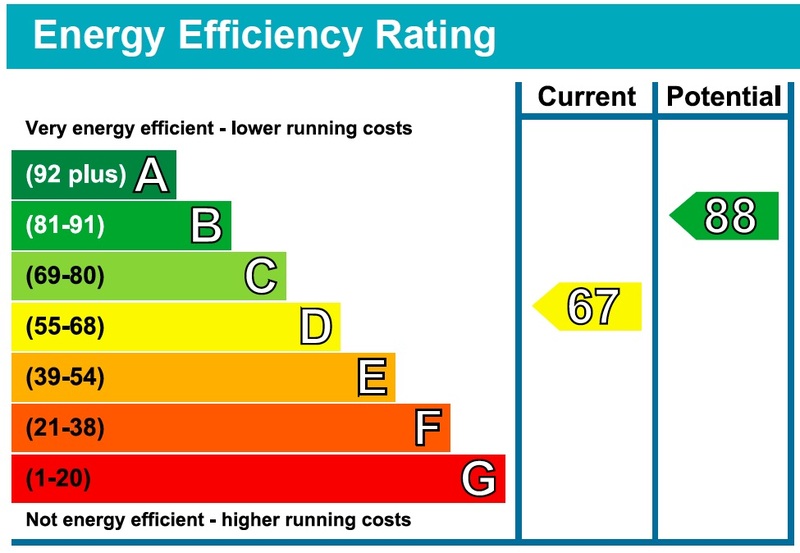 There is also an outside tap and outside power sockets. GARAGE 18' 0" x 8' 7" (5.49m x 2.62m) The single garage has an up and over door and window to the side aspect, power and light.